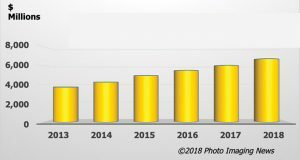 Keypoint Intelligence – InfoTrends estimates that 1,300 billion photos were taken in the U.S. during 2017. Moreover, 75% were taken on smartphones. 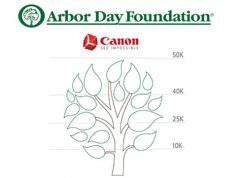 We continue to feel positive about growth in the U.S. photo printing market. 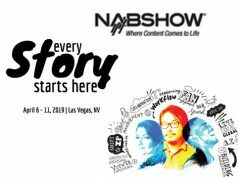 In a speech at the 2018 IPIC Conference, Bing Liem vice president/general manager of the Imaging Division of Fujifilm North America, said that print quantity positioning is driving up the average number of units being printed. This is resulting in a higher average order value. The price competition for 4×6-inch single prints has become “a race to the bottom,” according to Liem. Print quantity positioning and offers are helping drive volume for printing as well as growth for the category. Fujifilm’s Wonder Photo Shop tested quantities of 10/25 for 4×4, 4×6 and 8×10 prints, such as two 8×10-inch prints for $6, or 25 4×6-inch prints for $8.00. They consistently drive sales/category growth, even when end savings are quite low. Promotions drive prints to 40% of the category value mix, compared to 18–20% normally. What is the consumer profile for photo output? Both males and females are ordering prints. However, females represent 60% of those surveyed, according to recent studies. In addition, 25–34 year olds are the most active category buyers, with 63% of the buyers being under age 35. Moreover, parents with young children in the home are still the primary drivers (they have children living at home/young parents). “Memory keepers” and hobbyist photographers print more. Also, family is important: 41% describe themselves as family memory keepers. New print substrates (matte, glossy) and new form factors (Instax style prints) for kiosks are also helping drive overall print demand and growth for the category. Consumers are responding to newness, even with a price of $1 for each Instax style print. In addition, fresh in-shop lifestyle displays lend context and inspiration for consumers. Moreover, mobile-engaged consumers are driving print volume. Mobile connectivity is essential for photo retailers today. Consumers who order photo merchandise also tend to order photo prints. Those likely to have received personalized photo products from someone else are helping to drive awareness and gain motivation for creative items. And, 90% of buyers in the surveys said they would buy again within the next 12 months. Although consumer awareness of mobile compatibility for prints and other photo products is still low, they are demanding instant and same-day service levels. Consumers prefer quick service levels in a brick-and-mortar environment, specifically instant kiosks and same-day gifts. 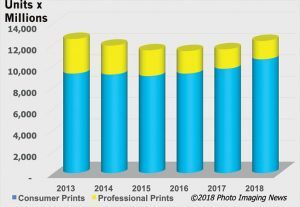 Our estimates of the market for U.S. consumer and professional prints, including home printing, appear in Figure 1. From a low in 2015, the consumer paper print market, which includes print packages, is expected to rise by 17% through 2018. The robust economy has encouraged greater travel and event participation. On the other hand, professional paper prints and print packages have fallen 29%. Combining them, the 2018 total print number is up 7.6% from 2015. 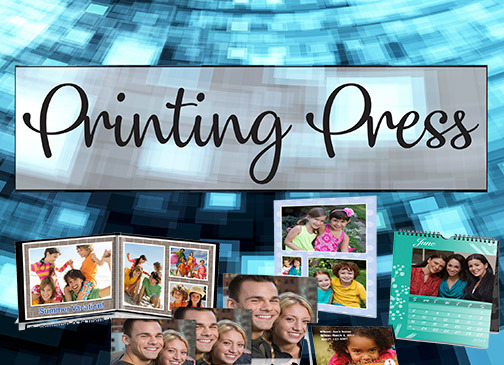 Moreover, sales of personalized photo products continue to grow rapidly. The improvement of mobile websites, the arrival of Artificial Intelligence (AI) capability into mobile apps and websites, and the availability of a constantly expanding palette of photo product options have overcome the price competitiveness created as more e-commerce companies enter this arena. Figure 2 shows our estimates of the U.S. consumer market. These estimates include photo greeting cards, photo books, calendars, mugs, collages/posters, canvas prints and metallic prints. Each of these categories is growing at a different speed. While the canvas and metallic print sales values are still relatively small, we estimate their combined 2018 sales will be up almost 12% from 2017, even as prices are coming down. 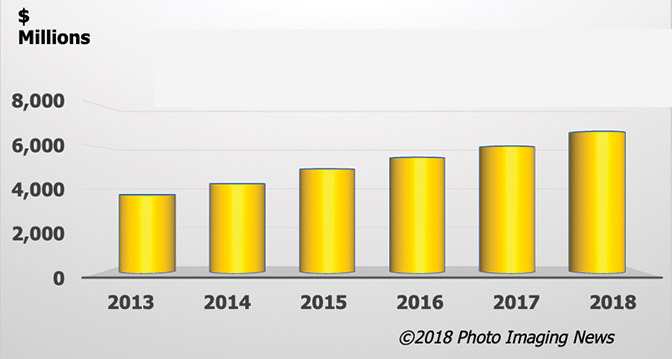 Fujifilm has projected sales of various photo output products for 2021, along with their respective growth rates. See Figure 3. 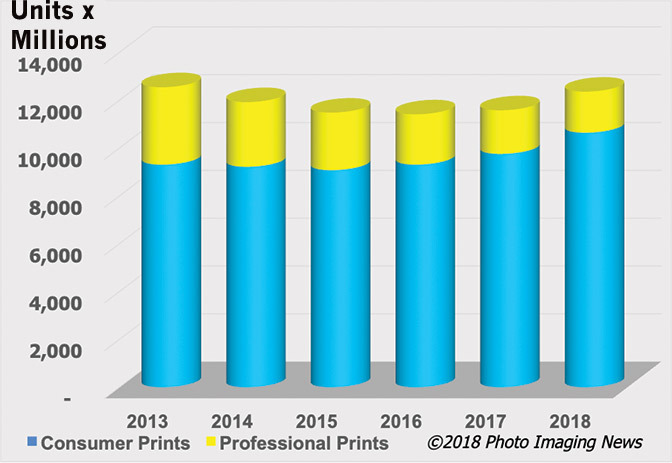 To summarize, based on recent surveys and studies, we continue to feel optimistic about the state of the U.S. photo printing market.